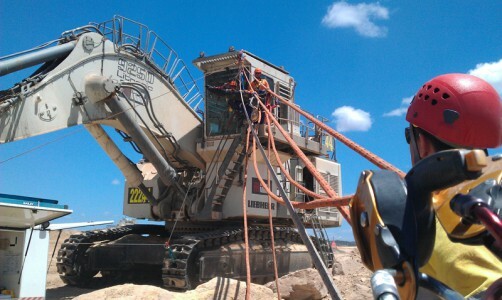 The finest rescue qualification for mines rescue operatives in Australia, built from the ground up by the best in the business. Go at your own pace. Attend modules (blocks of 1-4 days) as your schedule allows. You have up to 12 months to complete all modules. See dates below for our intensive blocks. Give us a call for more information, the full course schedule, and to book. When do I start? You can start any time, our modules are running regularly. Contact us to find out when the next module will be running. If you have completed some of the units previously you may be eligible for a Credit Transfer, and if you have a range of knowledge and skills that you believe meet the requirements of all units of a given module, you may apply for Recognition of Prior Learning (RPL). This process will involve the gathering of a body of evidence (e.g. logbooks, supervisor and employer testimony, reports you have written, timesheets, resume etc.). Due to the substantial time required in assessing any application for RPL, an RPL comes at a cost of 75% of the regular module price. Please call us to discuss your requirements and potential options. Some participants may hold certain prerequisites obtained in previous training, however by undertaking our modules in the specified order, it is possible to attain all required prerequisites as you progress. 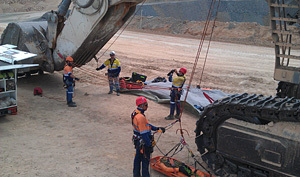 Students who are deemed competent will receive a Certificate III in Mine Emergency Response and Rescue, which is recognised under the Australian Qualifications Framework. This certification is nationally recognised. The full qualification is issued by Pinnacle Safety and Training (RTO 40496). Participants must have successfully completed our Confined Space Entry (One Day) course or hold equivalent competencies. Participants must also hold PUAFIR207B Operate breathing apparatus open circuit OR MSAPMOHS216A Operate breathing apparatus (can be gained in Module 3). Depends on participant’s previous experience. The course is delivered in 7 modules (1 to 4 days each). RPL may be sought. DISCOUNT FOR FULL QUALIFICATION: If you book and pay for the entire qualification up front, you will pay $5,500. This represents a saving of $168. You may pay in a series of installments. 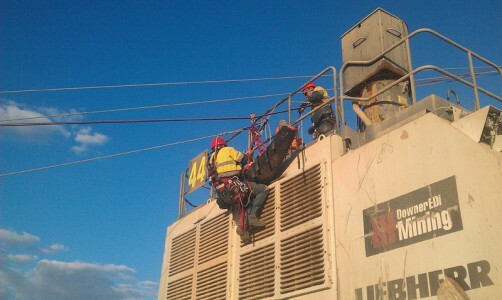 Pinnacle are a recognised national leader in technical rescue training in Australia. 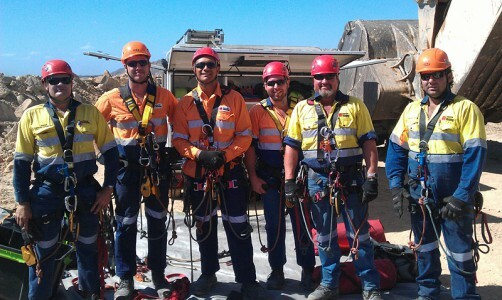 Our Cert III in Mine Emergency Response and Rescue qualification has been built from the ground up by a team of Australia’s best fire services operatives, paramedics, confined space and vertical rescue technicians. We stand behind this program 100% and believe it to be the finest Mines Rescue training available in Australia. Not all Mines Rescue Cert III’s are created equal. Due to the various electives, it is possible to deliver a very ‘soft’ course, bypassing many of the more practical and technical units of competency. Pinnacle have not taken this approach. Our nationally recognised Cert III is jam-packed with all of the technical rescue units. We’ve done this for a very good reason - these are the real-world skills needed by Emergency Services Officers (ESO’s) on major sites in Australia. We have the best trainers in Australia and you will gain these life-saving skills. The outline of each module may be viewed by clicking on each module name in the list above. This is one of our flagship programs. Therefore, training is conducted by our finest instructors. These operators hold a raft of qualifications such as ARAA Rope Access Technician, all relevant Confined Space, Height, and Vertical Rescue tickets and have years of experience training these skills. You are in good hands. Plenty of practical hands-on training. The course is very practically oriented! Not only is the course very practical, it is very intense both physically and mentally. We provide all the support we can, however if participants are not able to meet the demands of the course they will be deemed not yet competent. Prerequisite: You must have previously attended our 1 day Confined Space Entry course or hold equivalent competencies. For specific instructions, please examine the ‘Each Trainee Must Provide’ section of each course (click on the module name in the table above). This training is realistic and very physical. It is important that all personnel who attend this course are willing and capable of moving about in dark, possibly smoky, confined spaces while wearing 15kg breathing apparatus sets, AND willing and capable of moving about at height (ascending and descending ropes) on towers and other high structures. If you do not posess the fitness/strength to ascend ropes under your own strength, you will be unable to demonstrate competence for the vertical rescue component of this program. Kevin was a great instructor and has ensured that if further instruction is required Pinnacle is the only place I will go. This course was really well run and the involvement from the CS Energy emergency response team was definitely increased due to the way the trainers delivered the course. Just a quick email to thank yourself and Pinnacle Safety and Training for the training performed on our site. The trainers Lester and Ashley were very professional and experienced and I would recommend them and Pinnacle to anyone looking to do training in this area.